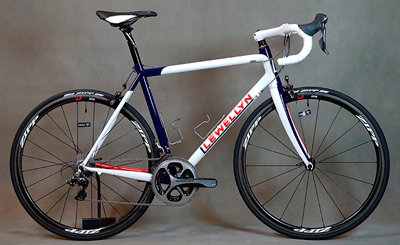 Every Llewellyn Custom Bicycle is just that. A Llewellyn that is custom to you, your riding style, your aesthetic preference, but still a Llewellyn. I have no standard sizes, no standard dimensions, all of these are decided when you and I discuss your bike. I prefer to work with my own proprietary lugs and I work with certain tubes which I have found produce the characteristics I feel are important in a frame. I modify my selections based on you and your riding requirements. 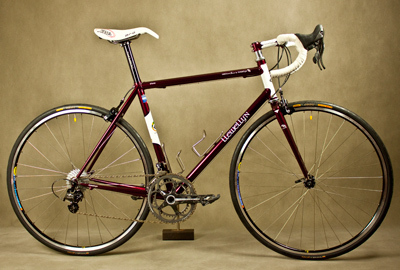 There are five "models" of Llewellyn frame sets each available in two different finish levels: Signature, or Lucentezza, and as a road, track, touring, randonneur, or fixed wheel ("fixie") bicycle. (Colossus is not available as a Lucentezza). Tubing selections mentioned are a general guideline. I determine the appropriate tubing for your individual bike during the discussions with you during the design phase of your bike. Click on the bike model name to go to the model page for a longer description and examples of that particular model. The keeper of the craft. A contemporary traditional lugged frame. Constructed with “Columbus Spirit for Lugs” OS diameter tube sizes with the correct rigidity for the light to medium size/weight rider. 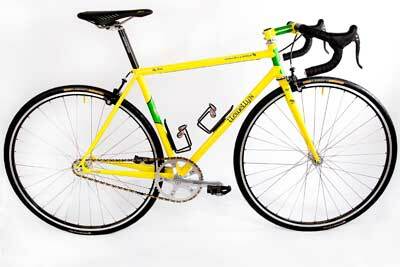 Available as a road, track, fixie, randonneur, or touring type frame and fork. Available in Signature or Lucentezza finish levels. Click on the name or image to learn more about the Llewellyn Custodian. The inspiration behind this name came from the word ‘Cadenza’ which is an impassioned improvisation played by a virtuoso soloist toward the end of a musical performance. Constructed with XL diameter tube sizes to give the correct rigidity for big and or solid riders. Inquire about optional Columbus XCr Stainless tubing. 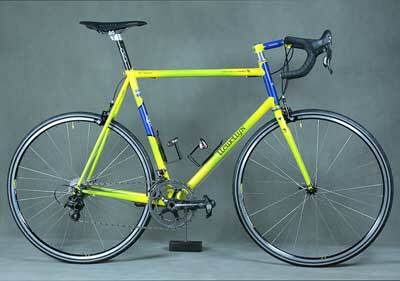 Available as a road, track, fixie, randonneur, or touring type frame and fork. Available in Signature or Lucentezza finish levels. Click on the name or image to learn more about the Llewellyn Cadenzia. 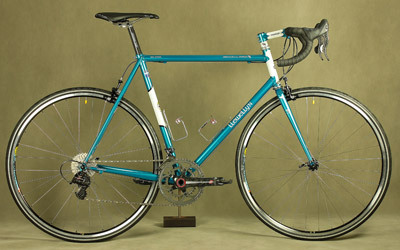 A sloping top tube frame similar to the “Cadenzia” using proprietary XL compact lugs. Constructed with XL diameter tube sizes to give the correct rigidity for big and or solid riders. Available as a road, track, fixie, randonneur, or touring type frame and fork. Available in Signature or Lucentezza finish levels. Click on the name or image to learn more about the Llewellyn Crescendo. A momentary departure from lugs. The inspiration for this Llewellyn frame set came from conversations between Dr Brian McLean (Cycling biomechanist) and myself about the possibilities of a new Llewellyn model with traits he desired. As this is a departure from lugs, it has it's own finish level. Please email me for current pricing. For an example of pricing, in April 2017: Click here to Download PDF. Llewellyn Signature frame set (any model, Signature level finish, frame, and fork) with single color paint starts at $4250.00 AUD including GST ($3828.00 AUD for international orders). The final price of the bike will vary on what options and extras you require. Complete bikes are available. To see what features are included in the Signature finish level, click here. Llewellyn Lucentezza frame set (any model, Lucentezza level finish, frame, fork, and stem) with single color paint starts at $9750.00 AUD including GST ($8863.64 AUD for international orders). The final price of the bike will vary depending on what options and extras you require. Complete bikes are available. To see what features are included in the Lucentezza finish level, click here.